Group photo of some of the participants of the Sooke Boxing Day salmon derby. The winning fish was just over 12lbs. Some nice winter springs and 90% hatchery fish. 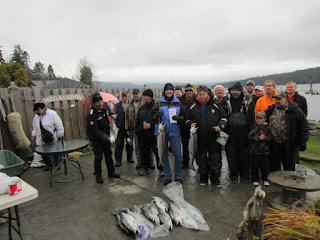 Lots of salmon for the Sooke Food bank!